Share your love of snowboarding with someone new! You can find us at many movie premieres and at our annual new volunteer meeting, in December. Check back here or our facebook and instagram for details or email info@snowdaysfoundation.org to stay in the loop. OFF SEASON: Email us to volunteer for our annual Golf Tournament! It’s an awesome fun day and this event funds our entire season – any help making it a success is appreciated! WINTER SEASON: Trips are all day on Saturdays. 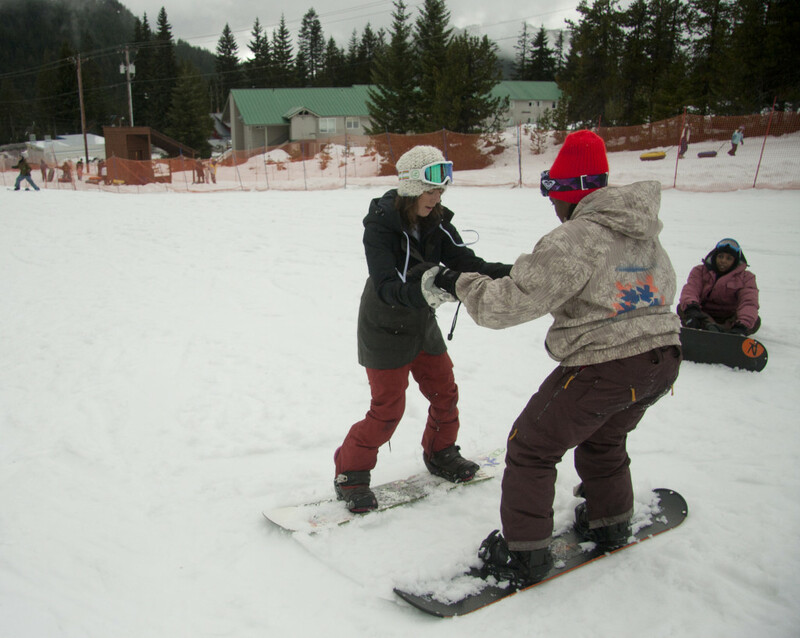 Advanced snowboarding skills are not required -we start with the basics- but all volunteers must be excited about working with youth and maintaining a positive environment. Snowdays runs background checks on all volunteers prior to trips. Fill out our online Volunteer Application, and see if your employer matches hours with Benevity (Apple, T-Mobile, etc).